Ropes courses are fun, exciting and teach valuable life long skills. Ropes courses build self-esteem and confidence by helping people to find their personal courage and strengths. Our courses are designed to build skills that build people. Safety is our number one concern. Our staff is caring, sensitive, experienced, and qualified in working with many different populations in adventure learning. School students benefit by building self-confidence and esteem. 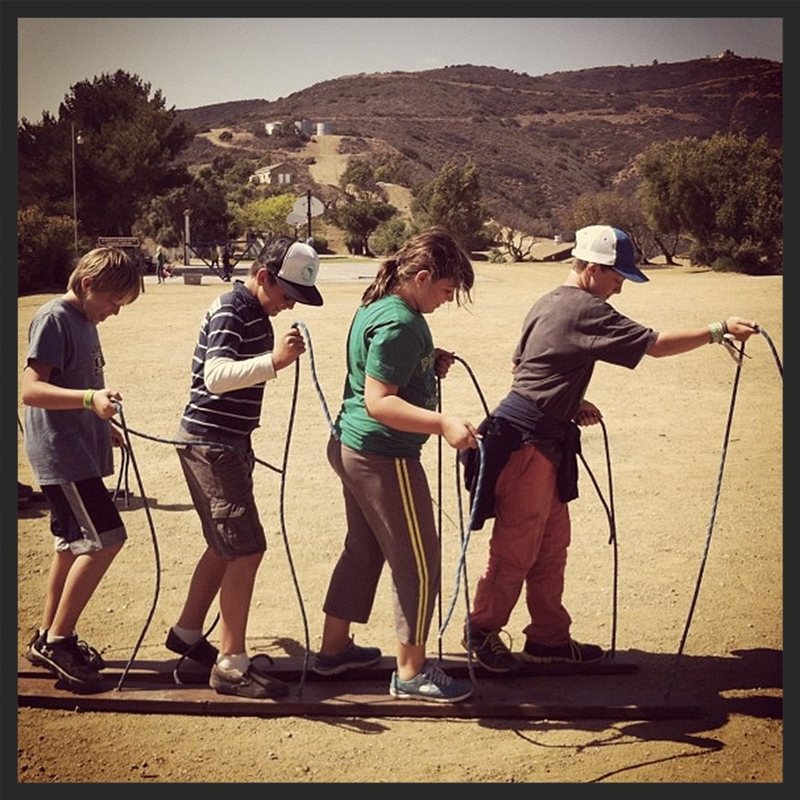 Ropes courses help galvanize a class together by providing a shared adventurous experience. Students build bonds, friendships, and leadership skills. 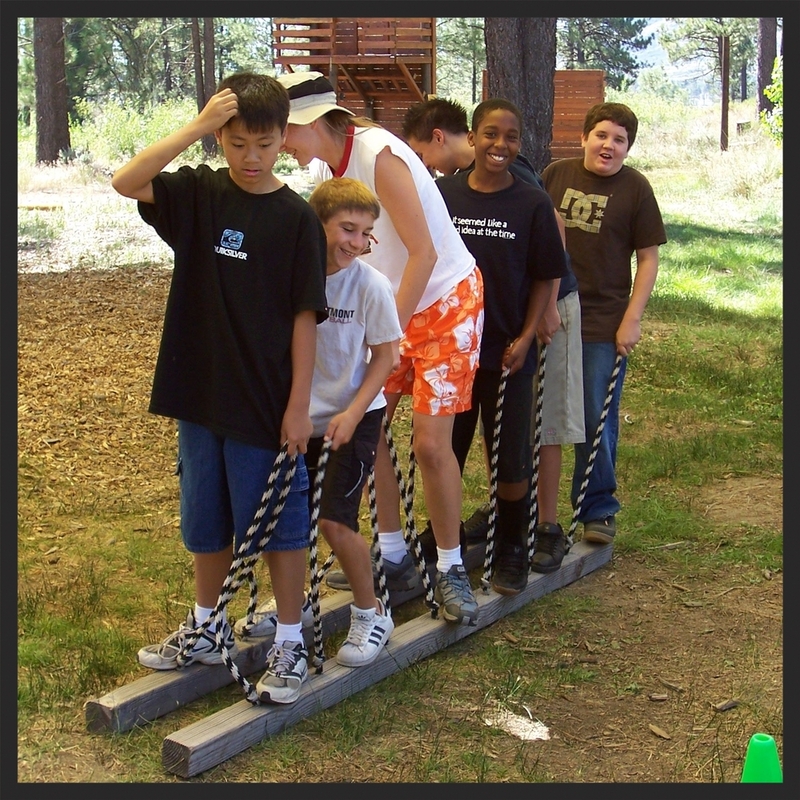 One-day team building, low ropes, and high ropes courses are available for students 10 - 17 years old. These activities are woven in to all of our multi-day programs. 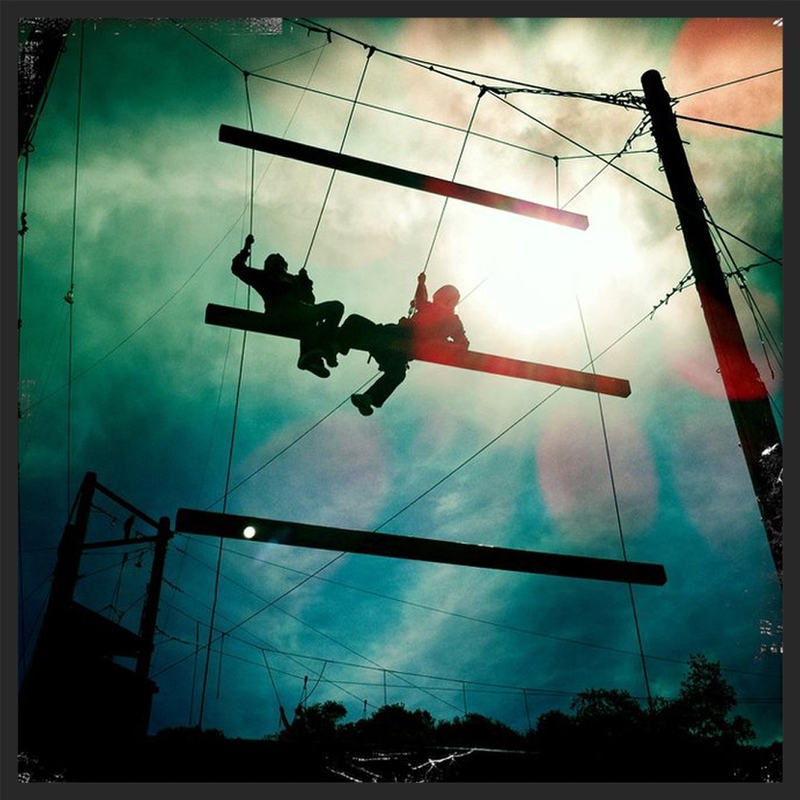 High ropes are available at most of our preferred locations to make an unforgettable experience. Low Ropes challenge students to overcome obstacles and solve problems as a team. They must work together in small groups to achieve goals while learning communication skills, patience, innovative thinking, and problem solving techniques. They may pass through a giant spider web, swing over a bottomless pit, or cross an alligator infested swamp with only 2 planks. The activities utilize success to develop confidence, esteem, leadership, and friendship. See Team Building. Ropes courses can be seen as the ultimate group or individual challenge. Ropes courses are vertical obstacle courses that make extensive use of safety equipment to keep participants from danger. Working with peoples' natural discomfort with heights, but using safety equipment to reduce real risk, participants are faced with a sense of "perceived" risk. These courses give participants a chance to truly test their ability to deal with fear and courage. 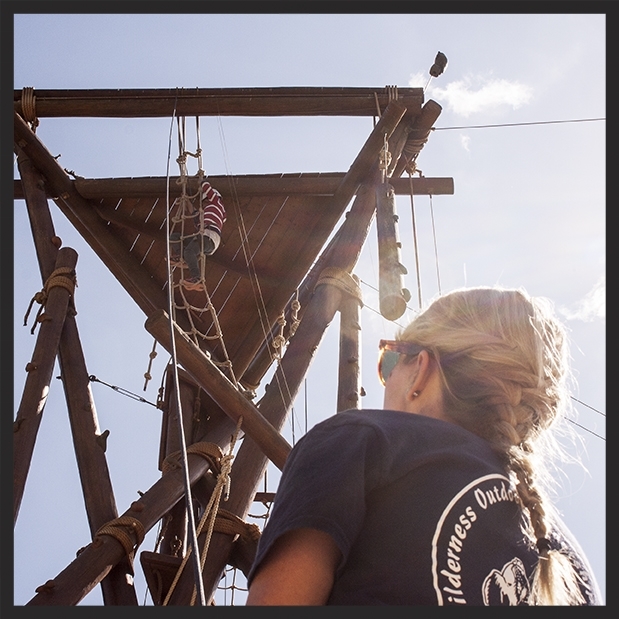 With the support of their friends, co-workers, and our caring staff; participants work on a series of platforms, cables, and ropes, 30+ feet up, to achieve their goals. 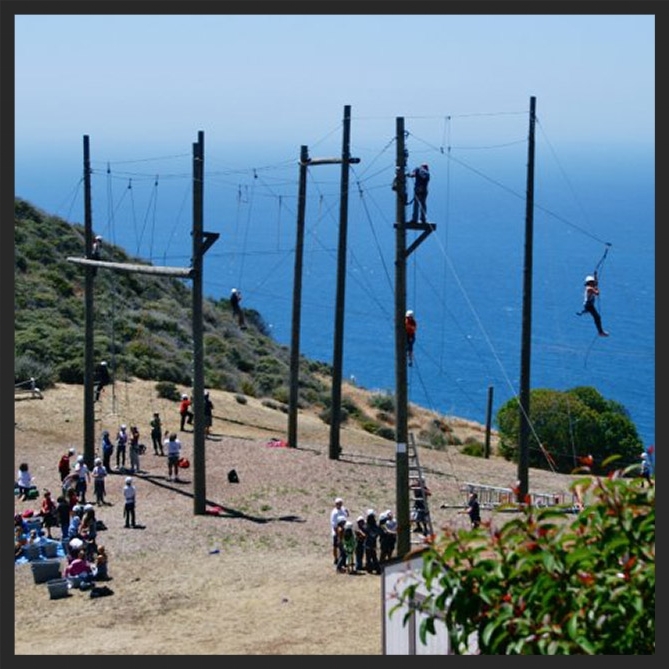 Check out the Hilltop High Ropes Program! 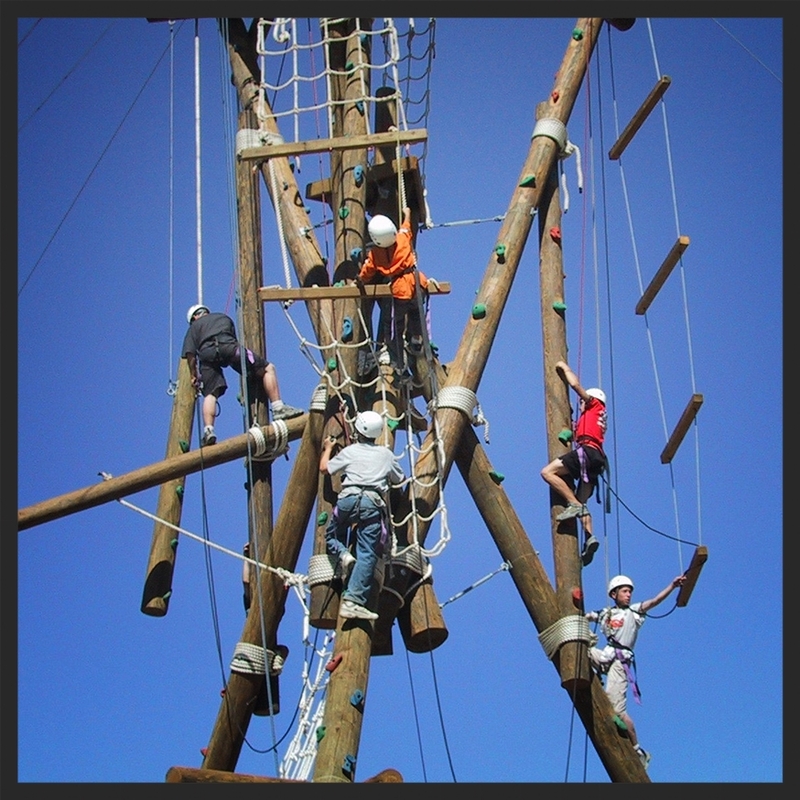 Ropes course programs can be tailored for use with a wide variety of populations and to facilitate group dynamics. WOLF has facilitated ropes courses for public and private schools, professional organizations, non profit development organizations, treatment facilities, summer camps, and more. 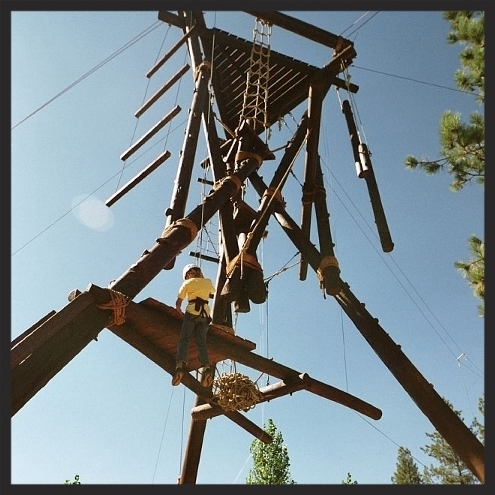 WOLF will work closely with you to develop a ropes course consisting of the appropriate activities for the groups you will be serving, and appropriate for your site. 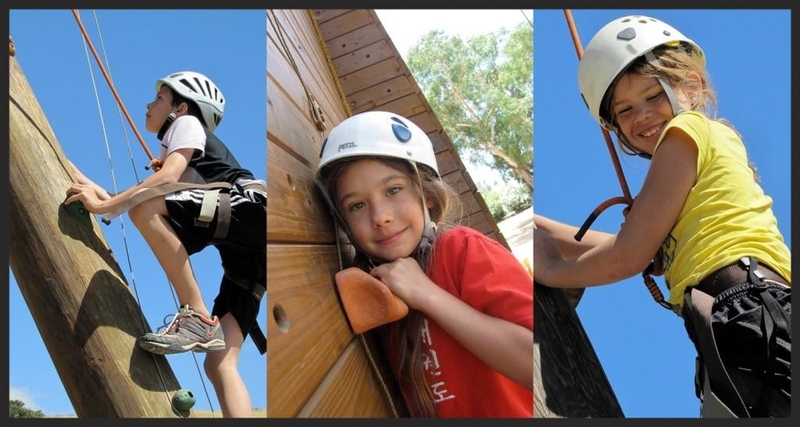 Many of the WOLF camps are equipped with high and low ropes adventure courses. Check out the locations below for more information on what elements each camp offers. 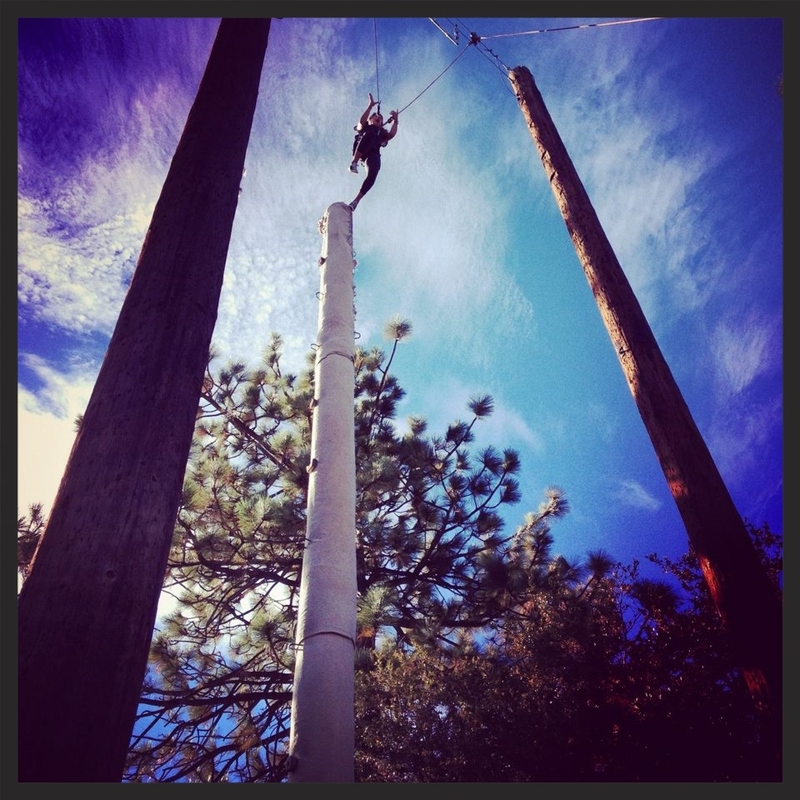 Hilltop High Ropes is one of our Favorites!